Golden olive creatively displayed at the Sanibel Shell Show. 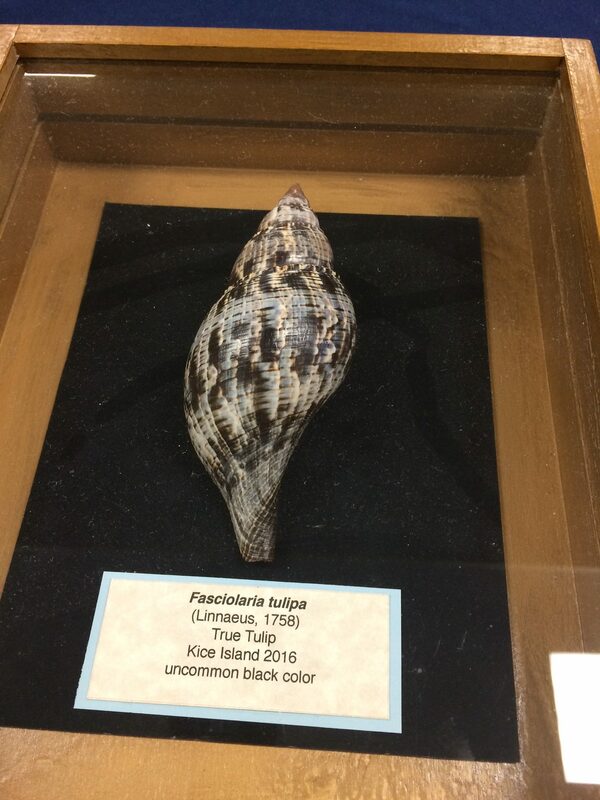 The 79th Annual Sanibel Shell Show was held March 3, 4 and 5, 2016. 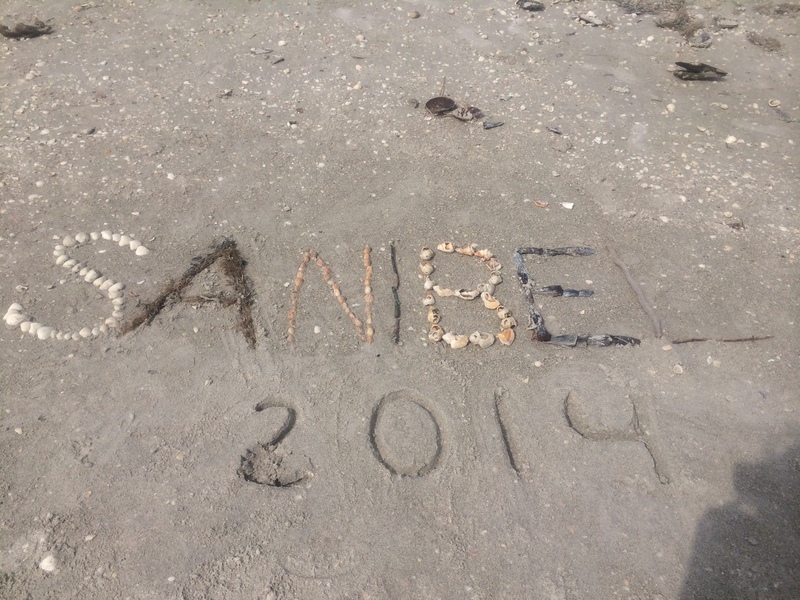 This incredible show is put on by the Sanibel-Captiva Shell Club. I have attended this event many times over the years and it always leave me in awe. 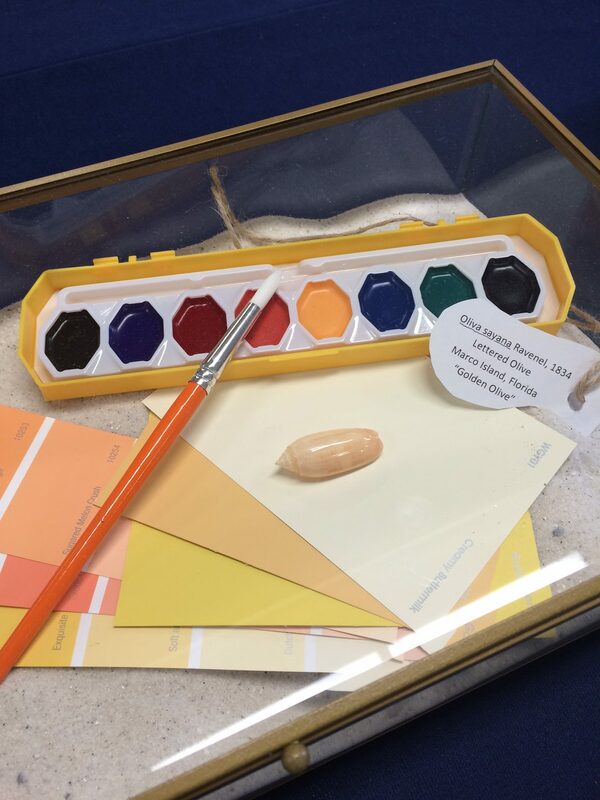 There are scientific and artistic divisions that shellers can compete in, and there is also an area for purchasing goods, like books, jewelry, and more. 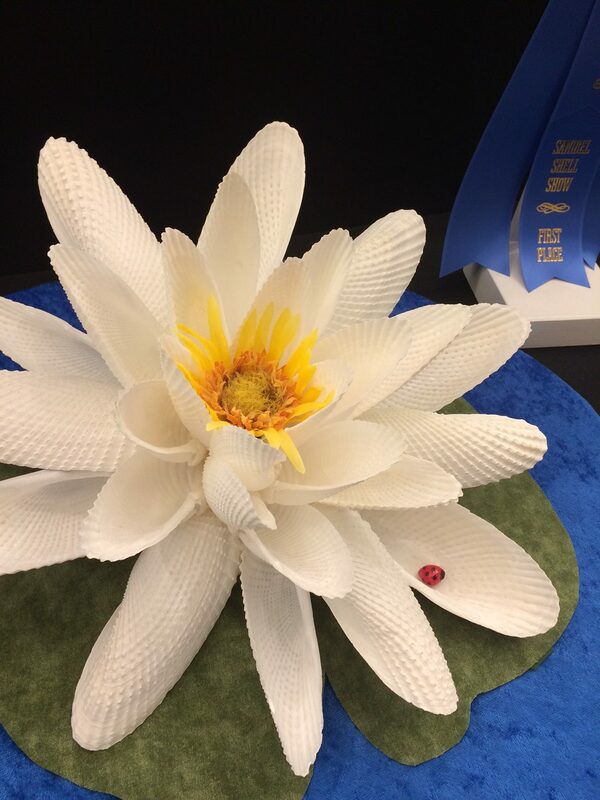 Water lily created from angel wing shells. 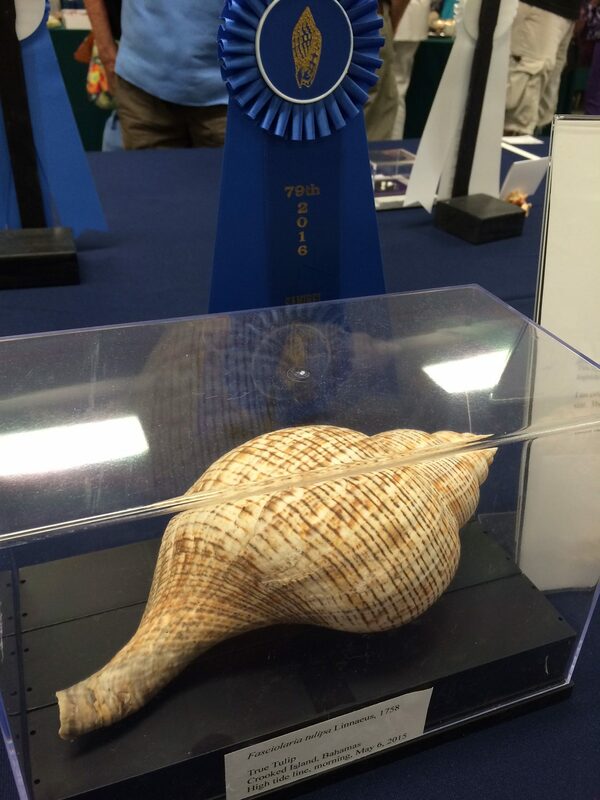 The shells you will see at this show are incredible! If you have never been, you should really try to attend next year. 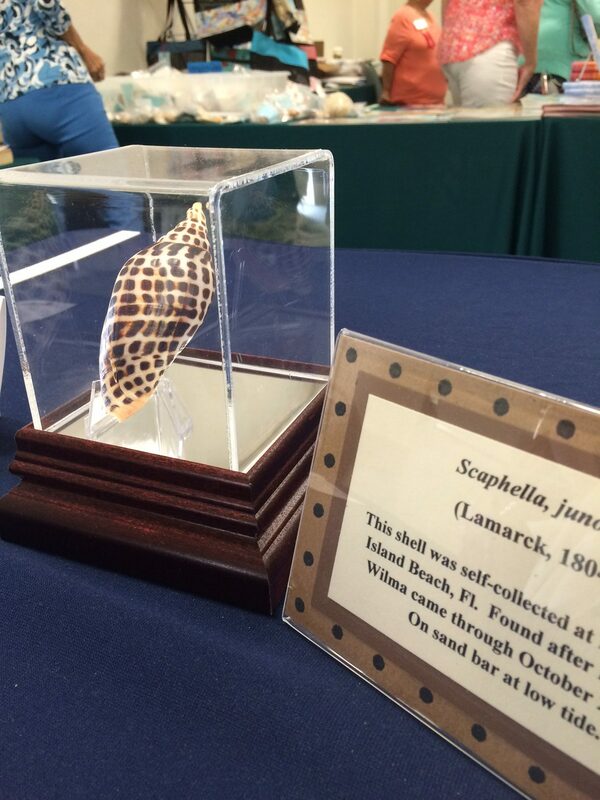 Beautiful junonia at Sanibel Shell Show. 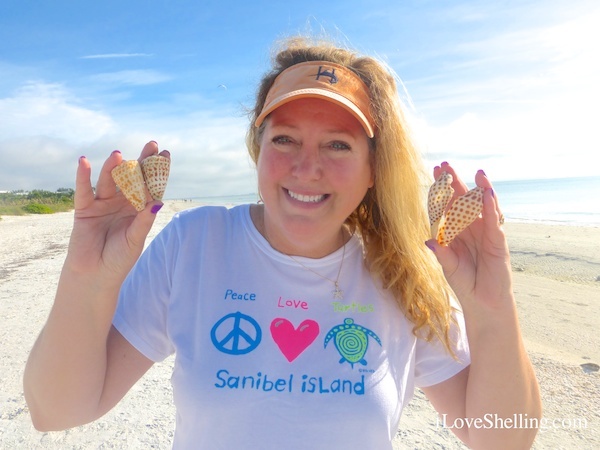 Plus, in the parking lot, there are vendors selling seashells, food, clothing, gifts and crafts. 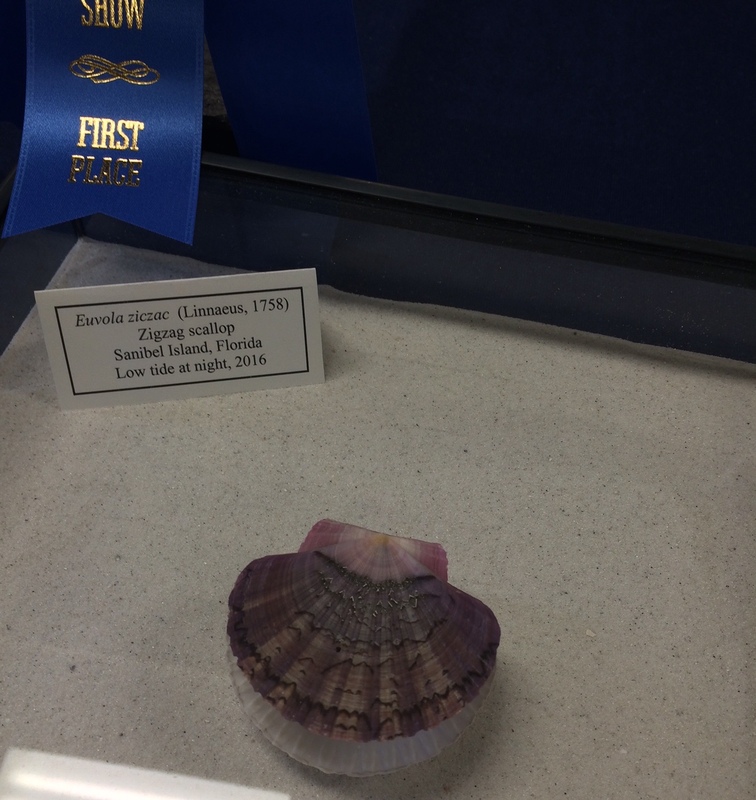 First place winner: Flat scallop, hinged, and gorgeous! 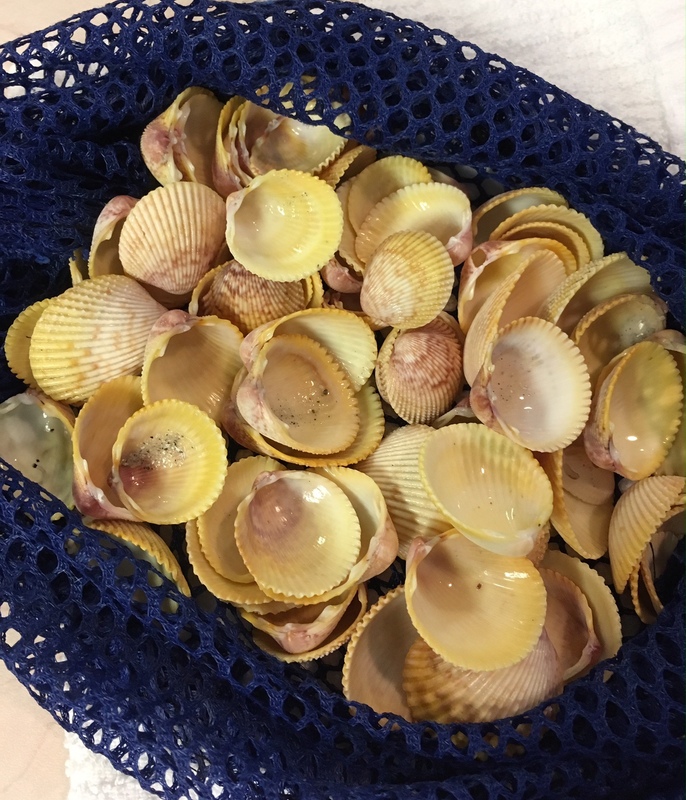 Check out these true tulip egg casings, did you know what they looked like? 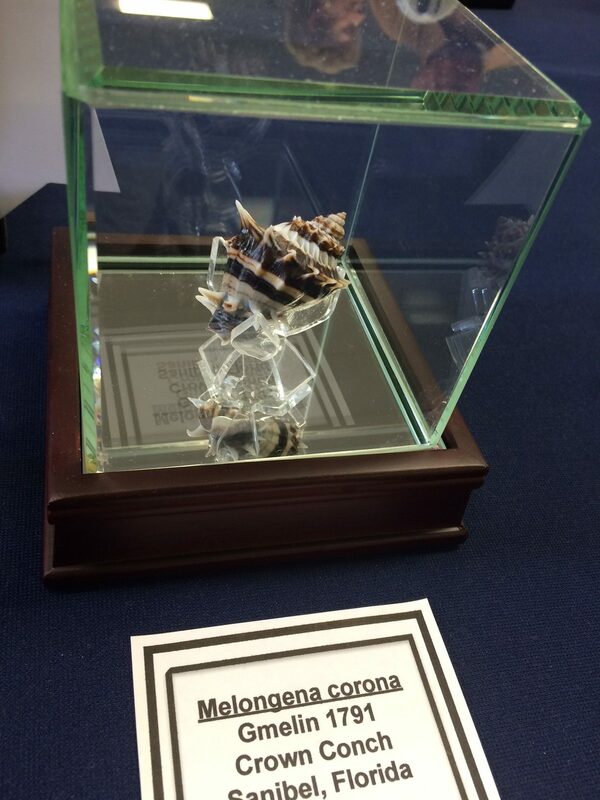 I know lightning whelk casings, so this was cool to see. 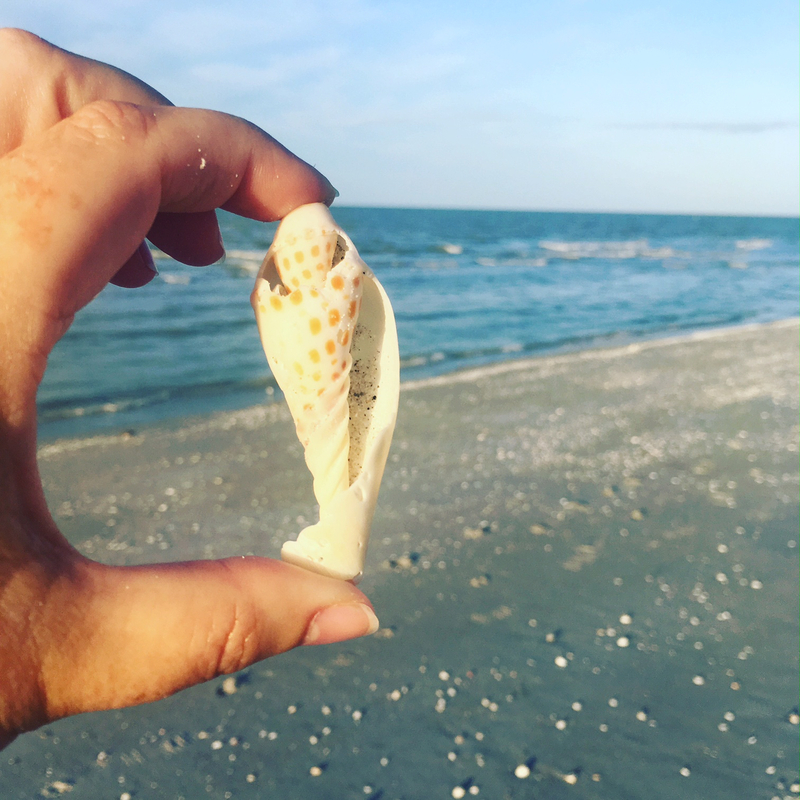 Enormous true tulip found in the Bahamas. 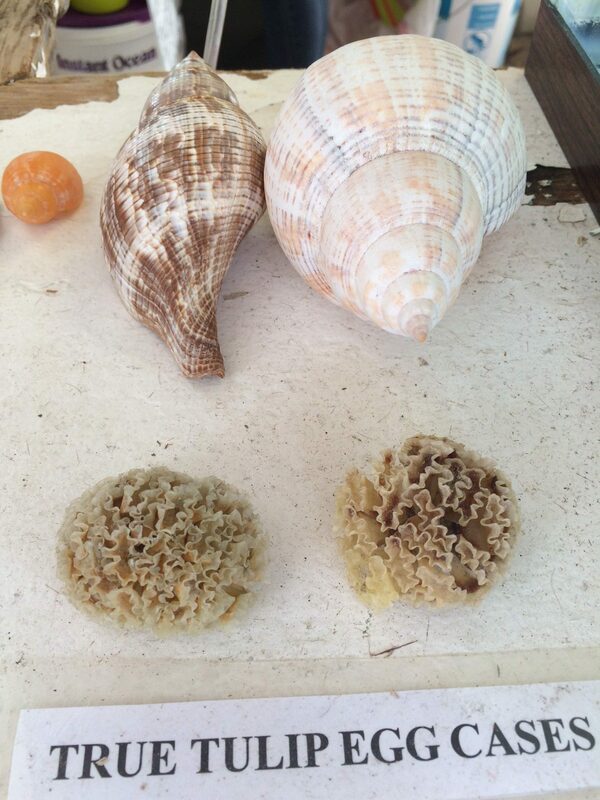 Aren’t these specimens incredible? I went crazy looking at the displays, I’m sure you will, too! Hope to see you there next year.